Skin is the outer barrier of our body and they are prone to many problems that makes the appearance rougher or some infections that not only affect our comfort but also appearance. 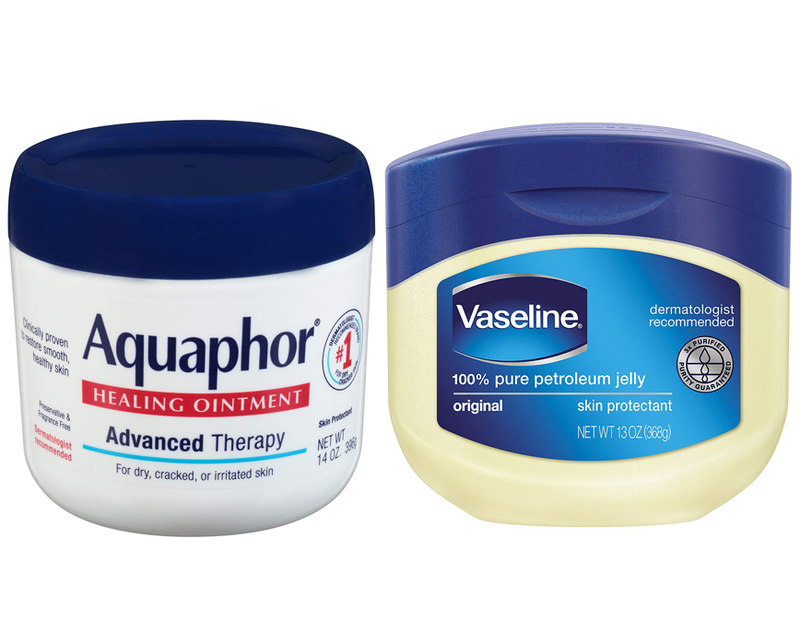 For those with dry skin or want to treat their skin better when the winter hit, using skin healing ointment like Aquaphor vs Vaseline can be a good option to go. If you are currently considering the two, go check our article below to see what they can offer to you and how they differ. Almost all people have experienced dry skin in their life since this condition is very common no matter if you are living in a place where the winter can get quite harsh or living in a tropical country where sunny days is more prominent. Besides being also affected by the weather or how the condition in your area, skin can be also affected by our body. While they are not harmful, having a dry skin is uncomfortable and most of us probably instantly grab a moisturizer when spotting a dry area. Even though they are quite easy to feel and distinguish from the rest of healthy, moisten skin, dry skin can be distinguished by scaling, itching and cracking that mostly occurs on elbow or heels as well as lips. There is a belief that people with oily skin won’t develop the problem in their life but this is wrong since even those with a very oily skin still can get dry skin from time to time. But, since they are not a serious problem, some of us may also neglect them. Besides being affected by dry weather condition in your living place or hot water, a certain chemicals can cause your skin to dry as well and some dry skin may also be affected by underlying medical conditions. For those with a severe dry skin, this condition is not called dry skin anymore but instead called as Dermatitis. Taken from Healthline, there are several types of dermatitis; contact dermatitis, seborrheic dermatitis, and atopic dermatitis. If you are not fond of using medication both over the counter or topical cream from your doctor, changing your lifestyle may help with the condition as well. The first thing you may want to avoid is showering with hot water since it can cause a dry skin and make sure to use a moisturizing soap when bathing to protect the moisture in your skin. Avoid itching or scrubbing the dry part may also help and drinking plenty of water daily. For occasional dry skin, we can deal them with a lifestyle changing and over the counter treatment but if you are experiencing a severe dry skin, make an appointment with your doctor and ask a prescribed medication since they may need a more serious treatment. With the huge option in the market, we can choose dry skin treatment from so many manufacturers out there that mostly using the same if not similar formulation and when talking about dry skin, most of us will instantly thinking about Aquaphor. This brand is one of the most popular treatment available and is already available since quite some time ago while was originally created as a delivery method for skin medications. In the past, doctors purchase an amount of the product and mix them with their own treatments. After the war, the ointment itself is packed and sold directly to customers and even today, they are still manufactured by the same company, Eucerin. Just like what’s printed on the jar, they are used to treat and protect skin from unfriendly weather and mainly used to moisturize the skin when we need an extra moisture or to prevent them from drying. What’s making Aquaphor working as a healing ointment is because of their ingredients and the start here is petrolatum which is the active ingredient to form a skin barrier on the skin and helps them retain moisture. The second is lanolin alcohol which is a subfraction of lanolin or a wax made from wool wax. It has a mixture of hydrocarbons that will imparts skin-smoothing properties. It also has cholesterol and fatty acids to deliver more benefit to your skin. Glycerin is a natural moisturizer and we can find this ingredient in so many skin products out there. This ingredient will attracts and binds moisture to the outer layer of our skin and this is why we can get a moisturized skin when applying them, great for anyone who need extra moisture. Another important ingredients are pantheon and bisabolol that also benefit our skin when applied topically. Panthenol also known as pro-vitamin B5 and they are acting as a humectant as well as conditioning the skin while bisabiolol is an ingredient derived from chamomile plant and it has an anti-inflammatory properties to help a damaged skin. Read our previous article on: Olay Regenerist vs Boots No 7 here. 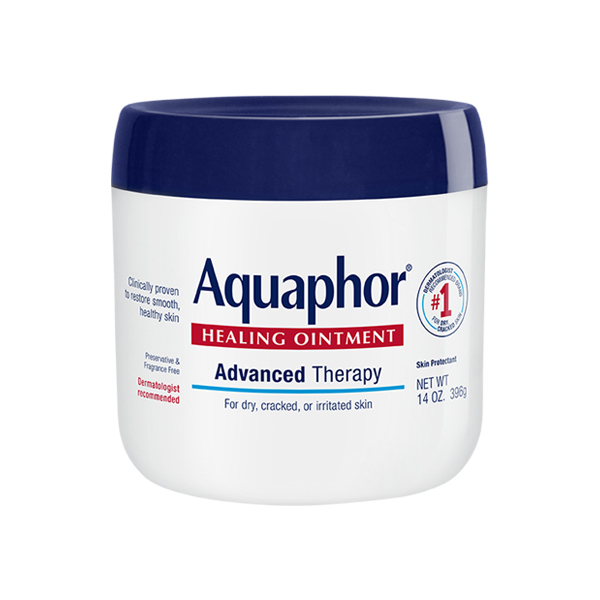 As for the recommended use, Aquaphor is a very versatile ointment and this is also what makes them very popular in the market. We can apply them on our face including lips as well as to cure dry hands and feet, compromised and sensitive skin. Some example on how versatile the ointment is to soothe razor burns, perfume booster, calming skin from irritation caused by fabric tags, eyelash conditioner as well as eye makeup remover. Not only Aquaphor, in the market we can find so many options when it comes to dry skin solution and one of the most well-known is Vaseline. We are sure most people already have them at least one jar in their house because how useful they are as a skin ointment and not only here in the US, this product is also available in many other countries from different region offering the same benefit for those who seek for a skin relief. 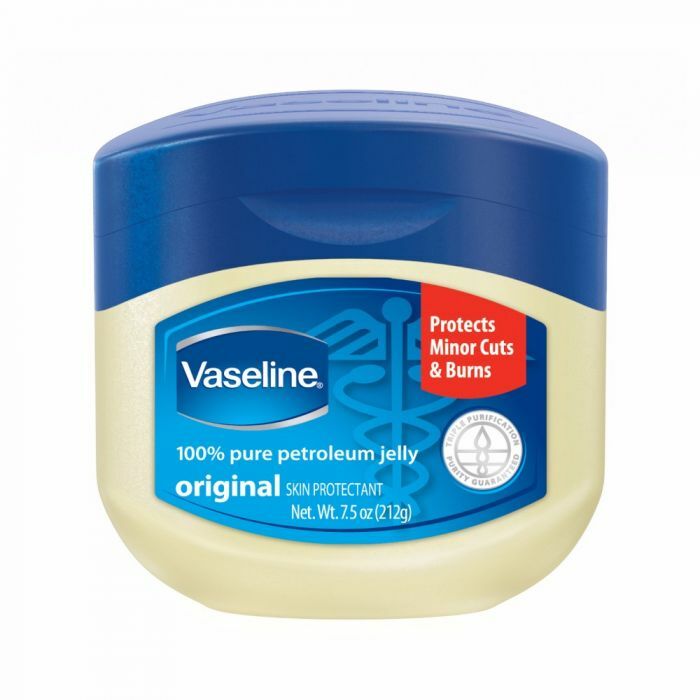 While Vaseline does offer lotions in their product line, their petroleum jelly is still the most well-known even today. In present day, they are owned by Unilever, the British-Dutch giant company but the name itself originally created back then in 1872 by Robert Chesebrough when creating a new and useful product from petroleum. This was inspired by oil workers that use rod wax from oil rig pumps to heal cuts and burns and when he found the benefit, he began manufacturing and calling it as Vaseline. Vaseline is made only with petroleum jelly or petrolatum while some variant do added with some fragrance and colorant. Petroleum jelly itself is a mixture of oils and waxes that you already know, comes in a form of a jelly-like substance. Compared to how the product was created by Chesebrough back then, there is not much different to the one we used today. The ingredient itself is beneficial since they are capable of sealing the skin with a water-protective barrier. Petroleum jelly is just like the name, the byproduct of the petroleum manufacturing process and of course they are actually an oil so in term of benefit, there will be so much similarities between oil and a petroleum jelly product like Vaseline. One of the most popular benefit of petroleum jelly is to heal minor skin scrapes and burns which is because they are capable of keeping skin moist during the healing process. Another use of Vaseline is to moisturize your body and if you are having a very dry skin, we can use them as a substitute for body lotion to prevent skin from drying out after showering, especially in cold weather. We may also use them to treat dry nose during cold or allergy season and apply some to your cracked heels to promote smoother skin and prevent them from drying out further. What you have to keep in mind is make sure the skin is already clean and dry before applying. As it has been mentioned above, petroleum jelly is naturally an oil and oil is the best way to remove makeup while being safe to use in the eye area means they are also safe for eye makeup remover. This is especially useful when you want to clean hard to reach are like near the lash and to apply them, we can utilize a Q-tip or similar helper. If your baby is having rash from their diapers, applying some may also help the condition. Another interesting use of Vaseline as a versatile treatment for our body is to prevent and save some split ends in your hair strands by applying some on your palm and rub them on the hair tips. However, this application may cause greasy hair especially if you are already having an oily scalp and hair. Now, let’s compare Aquaphor with Vaseline. While being similarly made with petroleum jelly, the most prominent difference between them is their other ingredients because as an ointment, Aquaphor is mixing many other beneficial ingredients in their product to deliver a better and more benefit for the user. They both have a jelly like texture and oily when applied but smooth enough to spread on skin. All in all, both of them are a good option if you are seeking for a solution for your dry skin and you can pick which seem to suit your taste better. However, after considering the ingredients, if we are to choose, we will pick Aquaphor because they include more than just a petroleum jelly.